Our Bulgarian Kashkaval (soft yellow cheese) starter makes an exquisite kashkaval. Creamy and soft with that je ne sais quoi taste that this typical Bulgarian soft yellow cheese has. Kashkaval is a type of soft yellow cheese indigenous to Bulgaria. It is very similar to the cheddar types of cheeses but has a very specific taste and a great aroma thanks to the presence of lactobacillus bulgaricus lactic acid bacteria. Each pack contains loose powder mix, in perfect proportions, of a collection of bacterial strains required to make kashkaval, amongst which — the ubiquitous lactobacillus bulgaricus and streptococcus thermophilus. Our Kashkaval starter is made and package in Bulgaria. It is organic and fully natural with no preservatives, additives, artificial colors or flavors. It contains no GMO ingredients and it is gluten free. Strength: 1 gram of starter contains more than 25 billion cfu of lactic acid probiotic bacteria. 100% potency guaranteed. Each pack contains freeze-dried live active lactic acid kashkaval starter cultures. Since the bacteria is grown on organic dried milk powder, the pack also contains a minute (very small) quantity of dried organic milk powder, which is completely consumed by the bacteria during fermentation. Bacillus Bulgaricus kashkaval starter is fully natural with no additives, preservatives, artificial colors or flavors. It contains no GMO ingredients and it is gluten free. It is manufactured and harvested in a strictly regulated sterile environment so it does not contain nor it has been in contact with nuts, soy and other common allergens. 1 gram of the starter contains more than 25 billon cfu of lactobacillus bulgaricus and streptococcus thermophilus in a proprietary formula mix. This is (at least) double the potency of other kashkaval starters generally available on the market, which guarantees the best results possible. 100% potency guaranteed. Bacillus Bulgaricus Kashkaval Starter is best kept in a cold dry place. Your fridge or freezer works best for this. You can store the packs in your freezer, at around 0°F (-18°C) or lower, for up to two years. You can store the packs in your fridge, at around 40°F (4°C), for about 6 months. Avoid keeping the packs at room temperature for prolonged periods of time as it will decrease the activity of the lactic acid bacteria in it. Unfreezing the starter and freezing it again (even more than once) is ok.
Transporting the packs will not damage the live culture inside — we use a freeze-dried process that keeps it alive even during long trips at ambient temperatures. Once you receive your packs tho, pop them in the freezer quickly for best storage conditions. 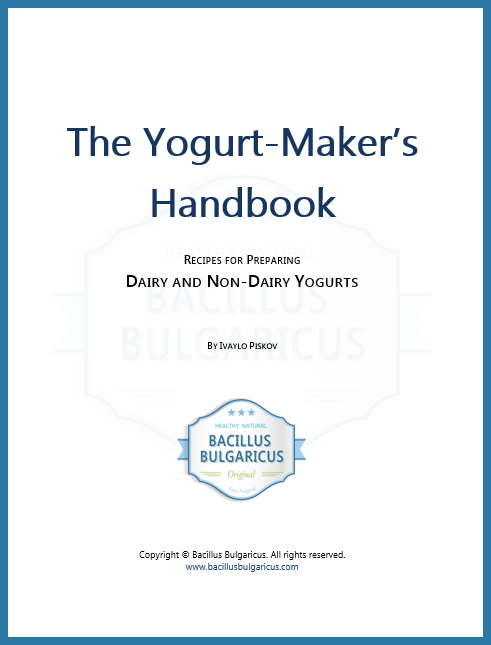 When you introduce the live culture into prepared milk the streptococcus thermophilus bacteria goes into action first and prepares the perfect environment for lactobacillus bulgaricus and the rest of the cultures, which starts multiplying and slowly turns the milk into genuine Bulgarian kashkaval. These beneficial, transient bacteria work together in the fermentation process that turns milk into a naturally sweet, smooth, fresh-tasting, super delicious kashkaval. The process takes approximately 24 hours to complete. Making Kashkaval is relatively easy, although it requires a bit of aging for it to develop its very particular and defining flavor. Check here for kashkaval making steps.